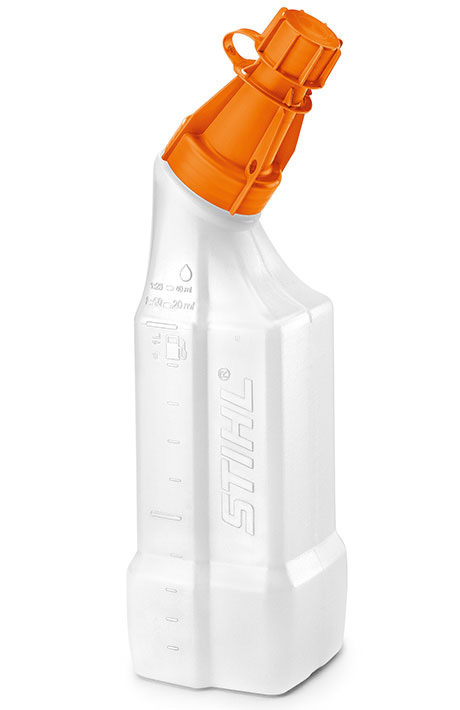 2 - Stroke mix bottle - 1 litre bottle for mixing 2-stroke fuel and oil. 1 litre bottle for mixing 2-stroke fuel and oil. One litre graduated mix bottle for 2-stroke fuel and oil. Convenient for mixing and filling small amounts of fuel. Quantity marks in the cap for the oil and on the side of the bottle for the fuel.